How do access codes work? A quick guide to all things related to access codes and giving your customers exclusive access to your galleries. ...And then go to your Gallery Settings panel. Access codes do have some restrictions. They must be between 3-10 characters, and may only contain upper or lower case letters, numbers, and dashes. 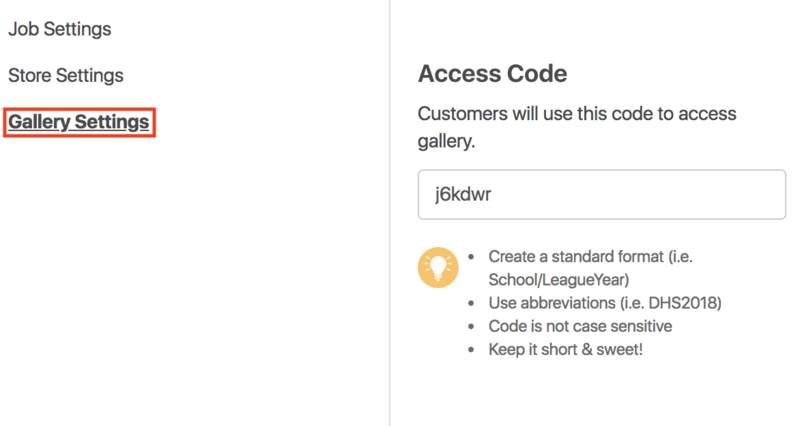 Once you set an access code, customers will be able to text it to the PhotoDay short code 907-38 to subscribe, receive AdvancePay access, or full access to a live gallery.